hese beautiful double oven gloves from Pimpernel are a handy kitchen essential. 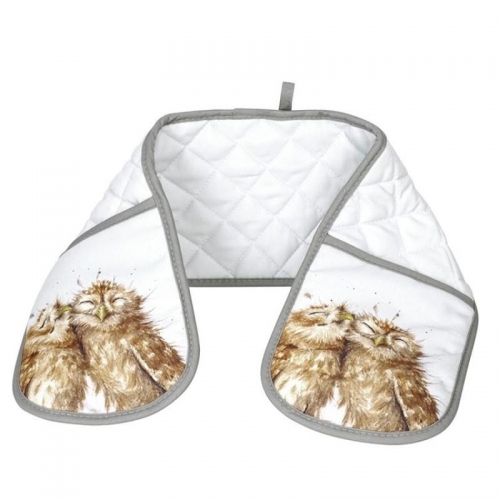 With a soft grey background and in this adorable owl design, they complement any kitchen. The oven gloves measure 18cm x 88cm and should be ironed on the reverse.